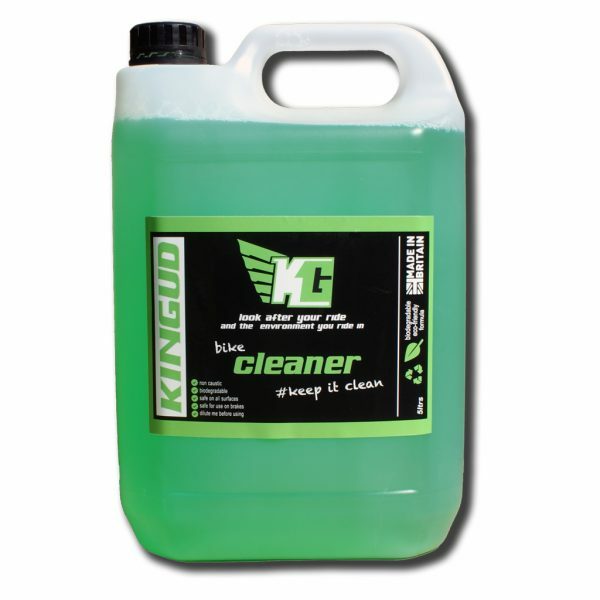 Want to check out our wash, degrease and protect products with a minimum of outlay then one of Kingud Trial Packs should be right up your street. 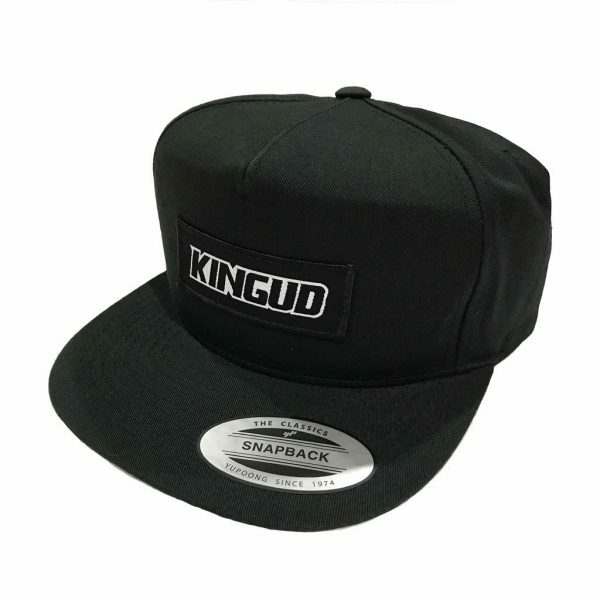 A sample of each of these can be had for just £5 and we will also include a £5 voucher to use against your first purchase in our on-line store on www.kingud.co.uk. If you purchase this product you will earn 50 Reward Points! Worth £0.25! You have probably read some of the reviews, here is your chance to form your own opinion. 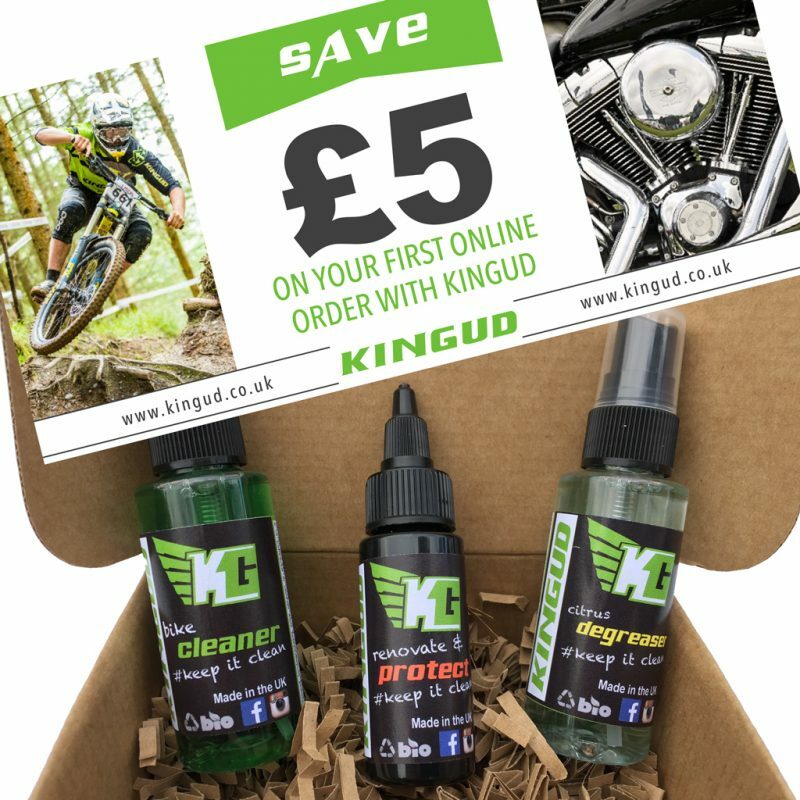 The products are all biodegradable – no volatile silicons, no caustic ingredients and no solvents – great for your bike, great for you (not breathing in anything nasty) and great for the environment you ride in. Recyclable bottles in a box made from 75% recycled paper and packing courtesy of recycled coffee cup outers. We know we are not perfect but we are doing our bit! 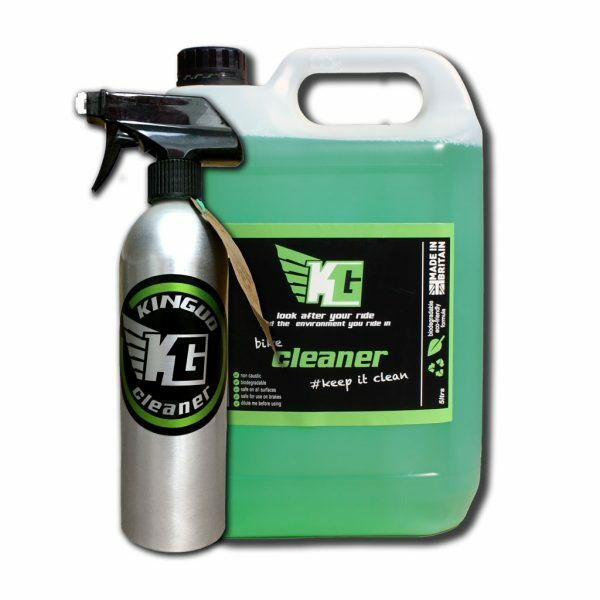 Once you are satisfied with how well they perform you can buy the wash in our “Bottle for Life and 5 litre Refill combo – you can even take an empty refill to one of our refill stations and let let them top you up! Saves money and helps you to reuses as well as recycle.